A landmark new study has laid bare the dirty little secret of modern American philanthropy: America’s wealthy don’t particularly care all that much about the rest of us. 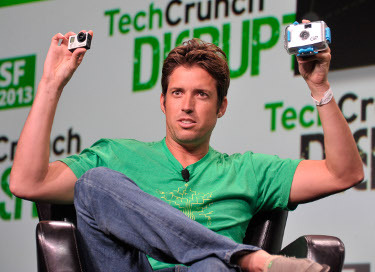 Billionaires like Nick Woodman regularly make headlines with their charitable giving. But they seldom give either enough or what helps those most in need. Billionaire CEO Nicholas Woodman, news reports trumpeted earlier this month, has set aside $450 million worth of his GoPro software stock to set up a brand-new charitable foundation. Stories about charitable billionaires have long been a media staple. The defenders of our economic order love them — and regularly trot them out to justify America’s ever more top-heavy concentration of income and wealth. Our charities depend, the argument goes, on the generosity of the rich. The richer the rich, the better off our charitable enterprises will be. But this defense of inequality, analysts have understood for quite some time, holds precious little water. Low- and middle-income people, the research shows, give a greater share of their incomes to charity than people of decidedly more ample means. Americans who make over $200,000 have been decreasing the share of their income they devote to charity. The Chronicle of Philanthropy, the nation’s top monitor of everything charitable, last week dramatically added to this research. Between 2006 and 2012, a new Chronicle analysis of IRS tax return data reveals, Americans who make over $200,000 a year decreased the share of their income they devote to charity by 4.6 percent. Over those same years, a time of recession and limited recovery, these same affluent Americans saw their own incomes increase. For the nation’s top 5 percent of income earners, that increase averaged 9.9 percent. By contrast, those Americans making less than $100,000 actually increased their giving between 2006 and 2012. The most generous Americans of all? Those making less than $25,000. Amid the hard times of recent years, low-income Americans devoted 16.6 percent more of their meager incomes to charity. Overall, those making under $100,000 increased their giving by 4.5 percent. Low-income Americans are devoting more of their meager incomes to charity. America’s affluent do still remain, in absolute terms, the nation’s largest givers to charity. In 2012, the Chronicle analysis shows, those earning under $100,000 handed charities $57.3 billion. Americans making over $200,000 gave away $77.5 billion. But that $77.5 billion pales against at how much more the rich could — rather painlessly — be giving. Between 2006 and 2012, the combined wealth of the Forbes 400 alone increased by $1.04 trillion. The more wealth concentrates, the more nonprofits chase after these less-than-empathetic rich for donations. The priorities of these rich, notes Kurtzleben, become the priorities for more and more nonprofits. The end result? Elite universities get mega-million-dollar donations to build mahogany-appointed students dorms. Art museums get new wings. Hospitals get windfalls to tackle the diseases that spook the high-end set. Some in that set do seem to sense the growing disconnect between real need and real resources. Last week billionaire hedge fund manager David Einhorn announced a $50 million gift to help Cornell University set students up in “real-world experiences” that address the challenges hard-pressed communities face. True enough — but in a society growing ever more unequal and separate, not enough. In that society — our society — the privileged will continue to go “blind to how people outside their own class are living,” as Danielle Kurtzleben puts it. We need, in short, much more than Empathy 101. We need more equality.